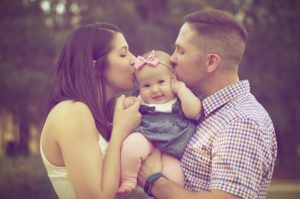 At Life Network, 89% of women at risk for abortion choose life once they see and hear their baby’s heartbeat. You can help us reach moms and dads and help save the life of their unborn child. As a 501c3 non-profit ministry, nearly all of our funding comes from the generous friends like you. Give now to help save more lives! Giving is quick, simple and secure. Just complete the form below. At Life Network, we are committed to your privacy. We will not rent, sell, or otherwise publish our donor information--or send mailings to our donors on behalf of other organizations. Any donations processed through a third-party provider will only use the information necessary to process that donation. For a full review of our most recent finances, please see our audited financials. 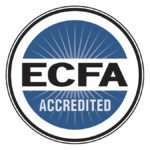 To ensure accountability to donors like you, Life Network is a member of the Evangelical Council for Financial Accountability (ECFA) and is audited annually. Thank you for your trust and generosity. Your investment changes and saves lives! $30 per month can enable us to reach one person searching online for abortion information, contacting us for help instead. $50 per month provides one life-saving ultrasound to a woman who feels abortion is her only choice. Over 86% of clients change their mind after they see their baby on the ultrasound. $100 per month provides TWO life-saving ultrasounds for two women considering abortion. Life Network is a 501(c)(3) charitable organization and an accredited member of the Evangelical Council for Financial Accountability.